A cloud migration is never a straightforward process. Without the proper mindset or technical understanding, an organization can easily wander into a situation that could put it thousands or even millions of dollars over budget. 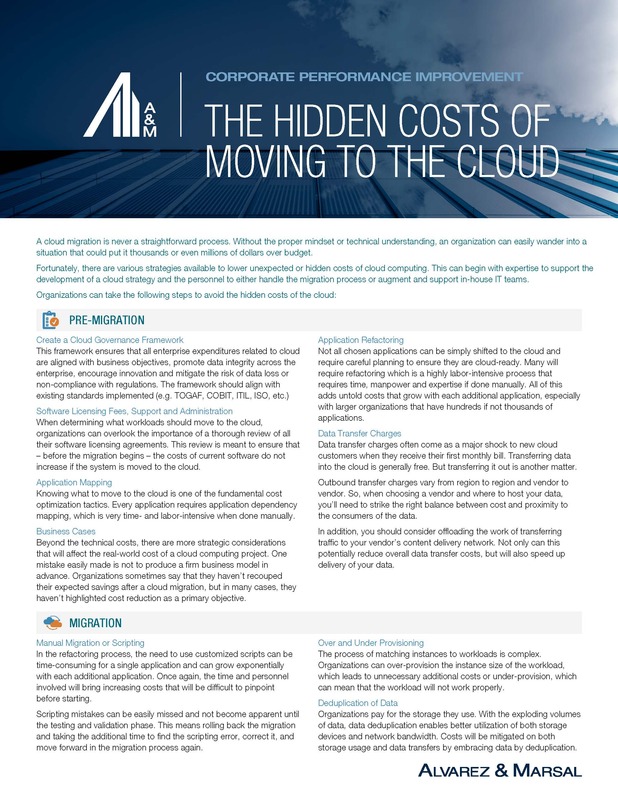 Fortunately, there are various strategies available to lower unexpected or hidden costs of cloud computing. This can begin with expertise to support the development of a cloud strategy and the personnel to either handle the migration process or augment and support in-house IT teams.